Clients ask often about SharePoint pricing for different scenarios and giving short answers can be a very difficult task. In many cases some answers should however be possible to give. For example when the client is making a rough budget estimate for the coming year then some indicative pricing examples should be given. This article lists some of those rough default answers what can be used when estimating SharePoint costs. Exact pricing quotes should always be asked directly from Microsoft. For pure web content management purposes the licensing model for SharePoint is based on external facing servers. Simple website scenarios can be done using SharePoint’s standard internet server license which is usually between 5500 euros and 9500 euros. For more complex website scenarios the Enterprise Internet Server is recommended and then the price tag is between 20 000 and 32 000 euros. And if the website is expected to be under heavy traffic it is often recommended to use two front-end servers and a separate search server. This setup can cost as high as 82 000 euros. However it should be noted that pricing depends from many factors. For example the list price for Enterprise Internet Server (in Finland) is apparently a bit over 42 000 euros. In short: SharePoint 2010 can cost between 5500 and 82 000 euros for websites. A rough guess would be that most clients who choose SharePoint end up paying closer to 82 000 euros than 5500 euros for their license. 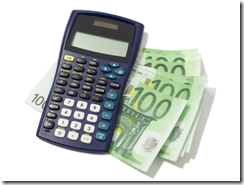 For larger clients the default answer is usually “between 40 000 and 60 000 euros”. More information about the pricing examples mentioned here can be found from Peter Sejersen’s article about SharePoint pricing for web content management scenarios. For intranet scenarios the pricing model is a bit more complicated than for internet sites. Therefore when planning an intranet project with SharePoint it is highly recommended to ask pricing details directly from Microsoft. This is a recommended practice even during early stages of project planning so that estimates are based on reality from the start. Ari Bakker from UK has done a good job in creating some example scenarios for intranet use cases. For example for a company that is building a somewhat basic intranet for their 1000-employee work force the cost of SharePoint 2010 license would be around 80 000 euros. For a company half the size the price tag for the required licenses for their intranet would be around 44 000 euros. Although practice has shown that for a company with 1000 employees the actual license cost for intranet can easily be over 100 000 euros if the company does not have existing licenses from Microsoft. Summary: Licence cost for using SharePoint for an internet site begins usually from around 15 000 euros and can go as high as 80 000 euros . Licence cost for using SharePoint for intranet scenarios in companies over 1000 employees starts from 100 000 euros, but is heavily dependent on existing licences. Final note: These are indicative prices and should only be used in early stage planning of SharePoint projects. There are a lot of details that are not mentioned in this article. Also it should be noted that these prices do not include hardware costs and setting up a real environment will require also other licenses (eg. SQL server, development software). Hello i just came across your blog from Google but encountered a odd popup about dog hospitals which is obviously not related to your blog. Is this your advertising or do i have a spyware problem? Thanks. Thank you so much for providing individuals with an exceptionally splendid possiblity to read articles and blog posts from this website. It is always so enjoyable plus jam-packed with amusement for me personally and my office colleagues to search your site the equivalent of 3 times every week to learn the latest secrets you have got. Of course, I’m so at all times impressed with all the stunning solutions you give. Certain two ideas in this article are ultimately the most beneficial we’ve had.